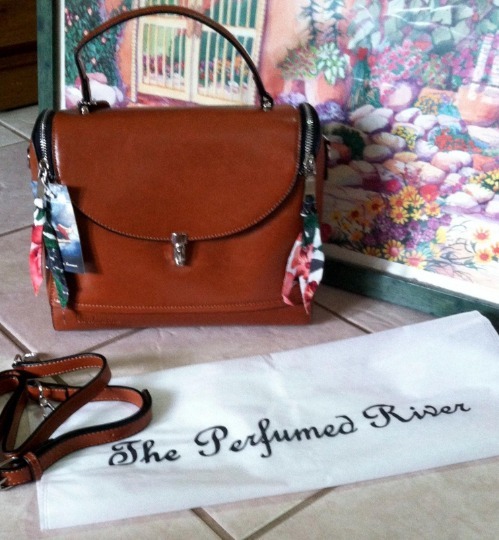 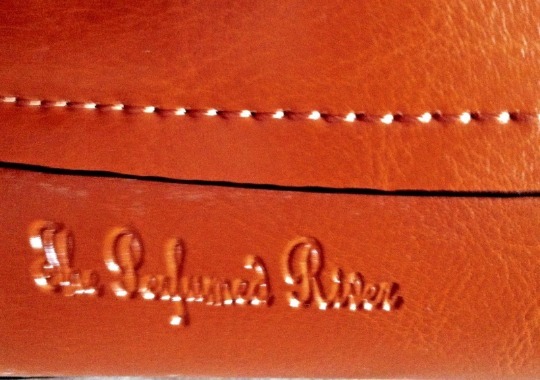 Underneath The Seam Toward The Bottom And To The Left Is "The Perfumed River" Inscribed In The Leather. 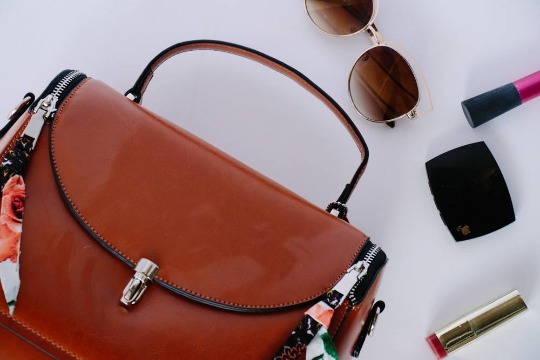 Has A Large Zippered Compartment In Back With The Lovely Floral Material Lining The Zippered Tag And The Inside Compartment. 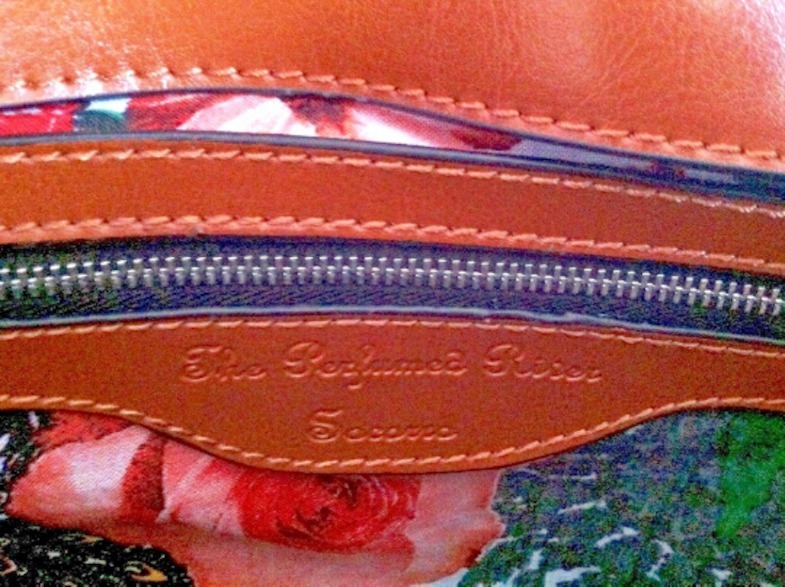 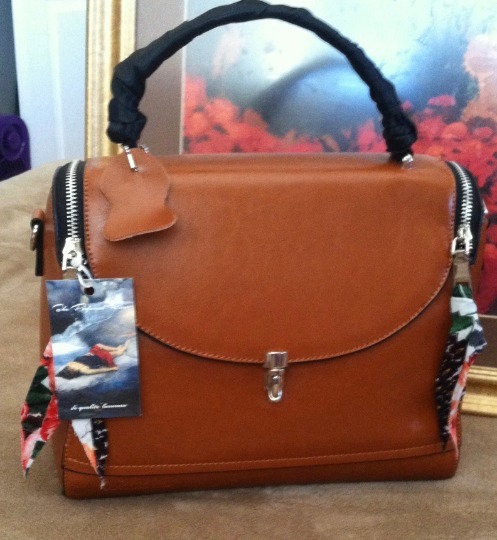 Leather Trim Inside Has "The Perfumed River" On It And Below That "Socorro"